Why do I do it? If I don’t do it before alcohol will be involved, I literally poison myself with any drink. 6 hours after just a glass of wine while I’m in Ketogenesis, and my liver turns alchohol into the known poison acetelaldeyhde, cousin of formaldehyde. I discovered this wonderful vomit-inducing chemical process over Christmas the hard way-experience. And not just the first time. I chalked it up to food poisoning. Second time too. 4. Person in ketosis has glass of wine. 5. Alcohol is broken down into acetelaldehyde-the poison. 6. NORMALLY an enzyme called ALDH2 continues to break down the alcohol. 7. In ketosis, an abundance of acetone blocks this process and acetelaldehyde continues to build up, poisoning the body. The “built in” natural deterrent is POISON. So, how many days does it take for me to get back into ketosis? On the scale Friday morning and down .6lbs from the 7.8lbs I put on in the last 2 months. 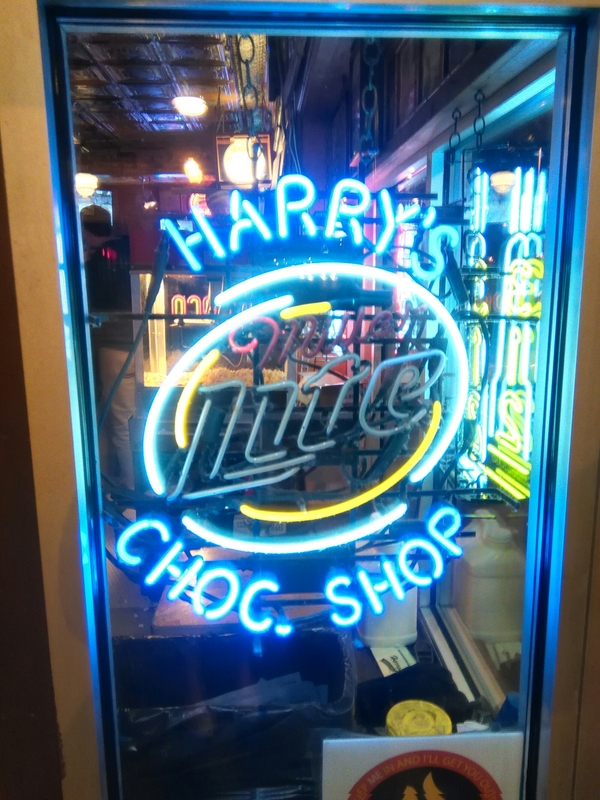 Retirement parties, vacation, and a trip to Harry’s Chocolate Shop at Purdue sure were fun. Bloody Marys, pizza, chicken fingers, chocolate and White Russians.. I have 4 months to get 17.2 lbs off before my 1 year checkup with my surgeon. That is the ultimate goal. I haven’t weighed that since KoRn was a “new” band. （my niece recently asked me of KoRn “who’s he?”） I replied that that was like asking who the Beatles or Nirvanna were for those of us who like metal. And the elliptical 90 minutes a day. The former would be a crowded gym. The first 2 nights my body pitched a hunger fit. Luckily, I recalled an old episode of the Oprah show that I probably recorded on Laser Disc then: the hunger fit at night is fat cells screaming for attention before they die and the ending of the carb glucose cycle and beginning of the body wanting to use fat as an energy source. Ketogenesis. With its limited menu restaurants and fat cells walking little dogs.